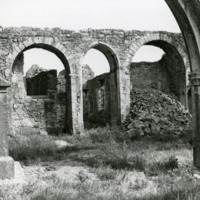 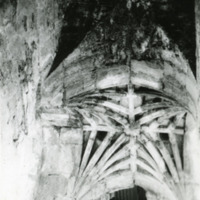 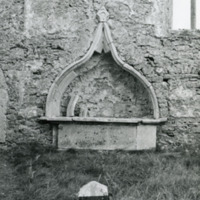 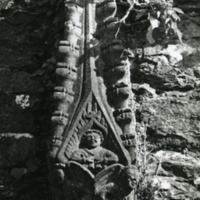 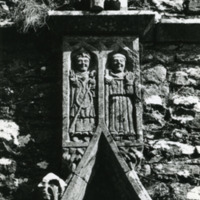 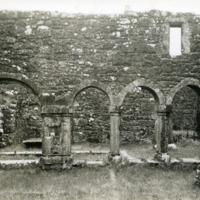 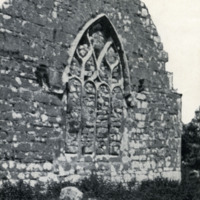 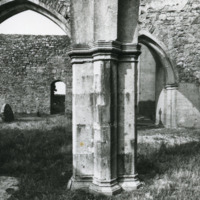 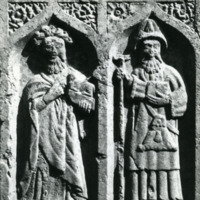 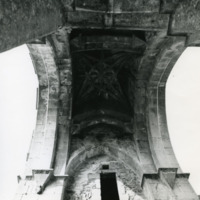 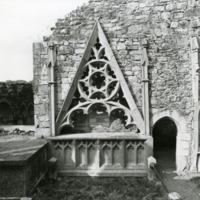 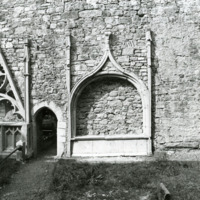 (handwritten on back of image): 76.174, Kilconnell (Galway): Franciscan Friary: capital of freestanding pier of nave arcade from W.
Mullion of finely moulded window in south transept. 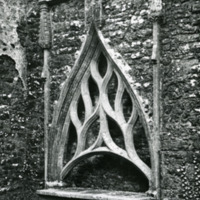 The mullion is moulded at its outer face and simply has chamfered corners at the rear. 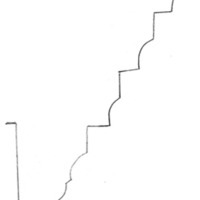 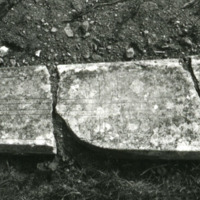 The moulding, from centre comprises: central fillet flanked at either side by hollow chamfer, right-angled rebate, hollow. 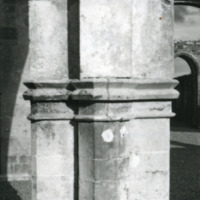 Capital of south transept arcade, plainer of two varieties. 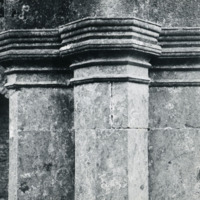 From the top down the moulding comprises: roll, chamfer, roll with chamfered front face and lower fillet, bell, chamfered fillet as necking. 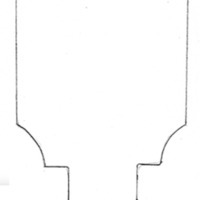 Finely moulded twin ogee headed light, moulding of jamb and hood. 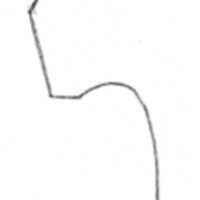 Jamb from intrados comprises hollow chamfer, right-angled rebate, hollow chamfer, right-angled rebate, hollow chamfer. 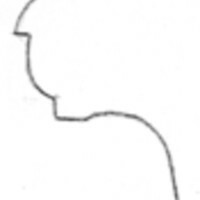 The hood, from the extrados inward comprises: frontal fillet, hollow chamfer, quadrant, hollow chamfer.